Apply Offline for the DLSA Recruitment 2018 from this page. The District Legal Services Authority had invited the 50 Para Legal Volunteer applications to the candidates. And the Application form for DLSA should be filled on or before 18th August 2018. From this article collect the information about the जिला कानूनी सेवा प्राधिकरण Recruitment with the proper procedure to apply, the eligibility Criteria, DLSA Application Fee, Pay Scale and the Para-Legal Volunteer Application Form. Alternatively, you can also get the straightforward link to download the morigaonjudiciary.gov.in Official Notification for the DLSA Job Openings 2018. Get the DLSA Selection Procedure details and then perform well. 1.7 How To Apply For DLSA Recruitment 2018? Contenders must grab the details about the DLSA Recruitment 2018 from the above table. Our team had gathered all the essential information from the official site of District Legal Services Authority and kept all those details in the tabular form. It shares the details like the Name of the organization, name of the post and the number of vacancies available for the opportunity. Alternatively, we gave the important dates for the application form with the selection procedure. 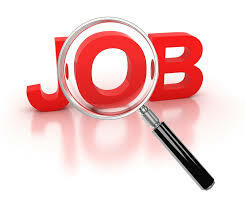 Even the application mode, official site address and the job location is given understandably. Retired Government Servants and Senior Citizens. Members of Non-Political Service Oriented NGO’s and Clubs. Educated Prisoners with good Behaviour serving long-term sentences in Prisons. Any Other Person whom the Morigaon District Legal Services Authority deems fit to be identified as PLV’S. Educational Qualifications – Applicants should have completed their 10th class, and they should have the mindset to work for the marginalized section of the society or its equivalent qualification from a recognized university. Check also official Notification for complete details about the DLSA Recruitment. Age Limit – Aspirants who wish to apply for the opened DLSA Recruitment 2018 they should have the minimum age as on 01st August 2018. Moreover, the upper age relaxation will be provided to the reserved category as per the organization norms. Selected candidates will have the particular pay scale based on the category. Refer the official notification for any other information. There is no application fee for the morigaonjudiciary.gov.in Recruitment 2018. If there is any update regarding the Application Fee, we will soon update you through this page. The District Legal Services Authority will handle the जिला कानूनी सेवा प्राधिकरण Selection Procedure to the candidates. And after receiving all the applications, they will inform the candidates to attend for the Personal Interview. And the walkin date is yet to be released by the officials. How To Apply For DLSA Recruitment 2018? Visit the official portal of the District Legal Services Authority @ www.morigaonjudiciary.gov.in. On the home page, click on the “Recruitment” link that appears on the left side of the page. Now read the Advertisement carefully and also check out the instructions present on it. After reading it, candidates have to fill the application form as in the prescribed manner with all the required and mandatory details. Appliers should paste the recent photograph and attach the certificates. End up the application form with your signature and then send the application form to the below-mentioned address on or before 18th August 2018. Check our Sarkari Recruitment website for any other information about the DLSA Recruitment 2018.